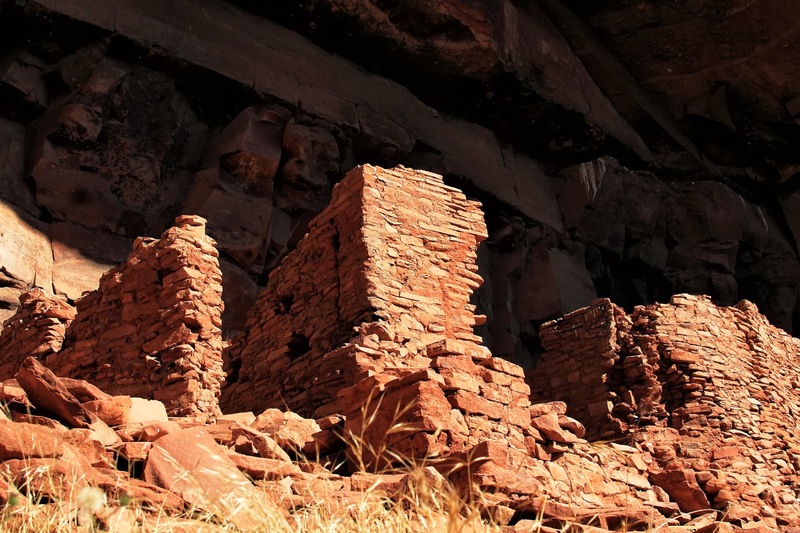 The Honanki Ruins and heritage site is a nearly 1,000 year old cliff dwelling that was once inhabited by the ancestors of the Hopi tribe. The drive to the ruins is hard on your car. The roads are not regularly maintained by the county and there are a few really rough spots. We made it in a Toyota Corolla, but my girlfriend was grinding her teeth for the entire 9 miles drive. The scenery along Route 525 is amazing. It's totally worth the wear and tear on your car. The ruins consist of a dozen or so small clay and stone dwellings that were built directly into the mountain side under an overhang. Each dwelling is about the size of a New York apartment, in other words, pretty small. 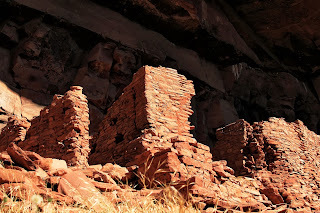 We found the ruins by mistake while were driving around on the backroads. It was one of the best things we saw in Sedona. There were a ton of tour groups ferrying people to the ruins in those pink Jeeps. The hike to ruins from the parking lot is only a quarter mile, so pretty much anyone can do it. You need to have a Red Rock pass to park. From 89a in Sedona, Turn onto Forest Road 525. Follow Forest Road 525 for 9.5 miles. From here, cross over the cattleguard into the parking area. There are several brown signs for the Honaki Ruin along Route 525, so you'll know that you are headed in the right direction.